In a men’s bathroom a urinal is a must. Some public men’s rooms don’t have a urinal but most do have. 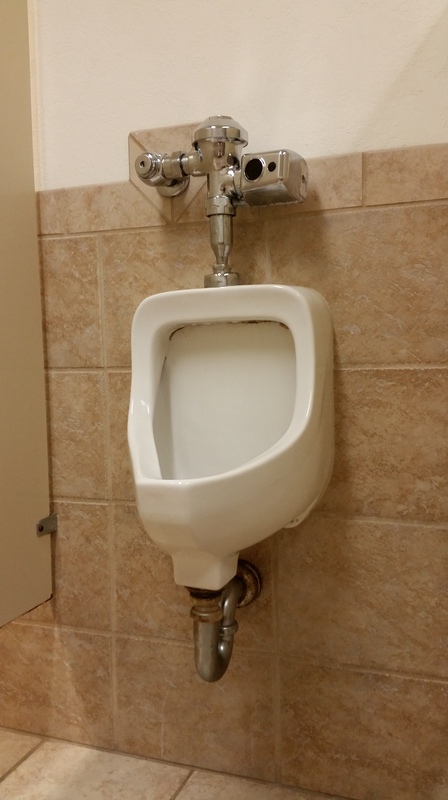 A urinal is a great product that was created. Even though urinals are messy and gross they are extremely useful. As far as cleaning a urinal a drain cleaners dream is to see a trap under the urinal so pulling the unit off the wall isn’t necessary. Urinals that don’t have traps must be pulled off the wall which means more work and in the end will cost more. Urinals do clog up based on urine that hardens and crystallize’s. The most common reason why is because most people don’t flush after their use. Urinals that have electric eye sensors will flush after each use and won’t clog up as much Also, if you want to be more elegant fill each urinal with ice in a public restroom during busy hours.